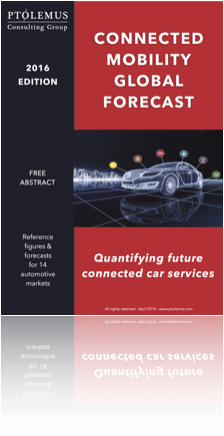 The Connected Mobility Forecast 2016 is the first report to analyse and quantify the volumes and revenues of 14 car services markets and their associated connected car services globally. 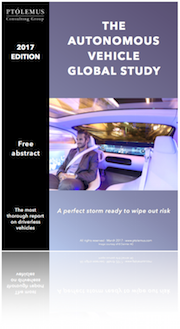 The report highlights how connectivity is transforming the century-old automotive industry focused on manufacturing a product into a fast moving, services-centric industry. The shift is best illustrated by the growth of Uber’s market capitalisation ($62 billion), which, in the space of 7 years, has become significantly larger than industry veteran GM’s ($48 billion). Car manufacturers are catching up fast, acquiring or investing globally in car sharing, pooling and leasing. The Connected Mobility Forecast concludes that revenues from these 3 services will grow as much as tenfold over the next 5 years. 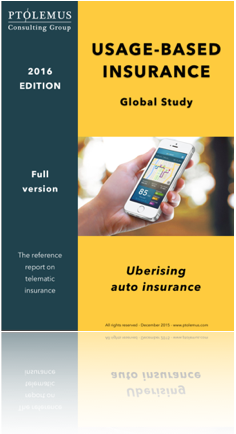 As the nature of car usage, ownership and provision changes under the influence of population growth, traffic and connectivity, global car sales are expected to stagnate and most of the growth will come from mobility services. The Connected Mobility Forecast sets out to identify the real potential revenue opportunities, the key distribution models and who in the ecosystem is best placed to take advantage. 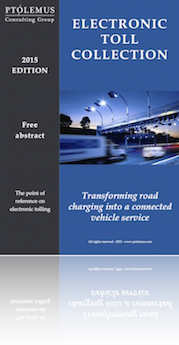 The 14 connected mobility markets are: car sharing, car pooling, car rental, navigation, in-vehicle Wi-Fi hotspot, stolen vehicle tracking & recovery (SVT, SVR), emergency assistance (eCall / automatic crash notification), usage-based insurance (UBI), remote diagnostics, connected breakdown assistance (bCall), car leasing, road user charging (RUC) / electronic tolling, fuel card services and telematics fleet management services. 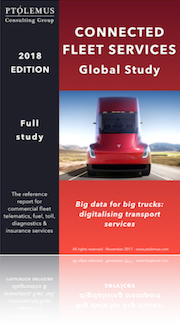 An analysis of the Total Addressable Market (TAM) volume and revenue for each service, provided from the perspective of the service provider to the end user, defined as the Mobility Service Provider (MSP) and its supplier, the Connectivity Service Provider (CSP).